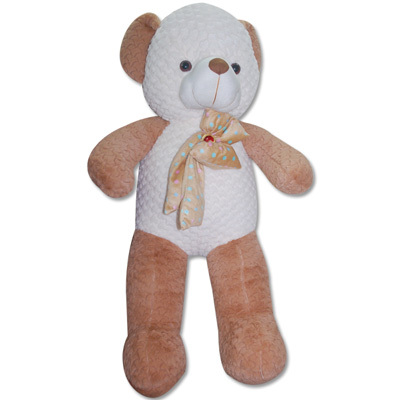 White and Brown Soft Teddy BST 3618-001 Height: 90 Cm NOTE: Same day Delivery for Hyderabad and Secunderabad. 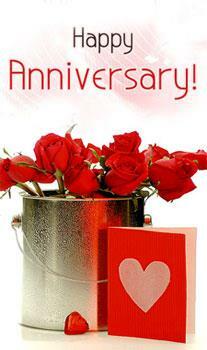 For other places requires minimum 2 to 3 WORKING DAYS. 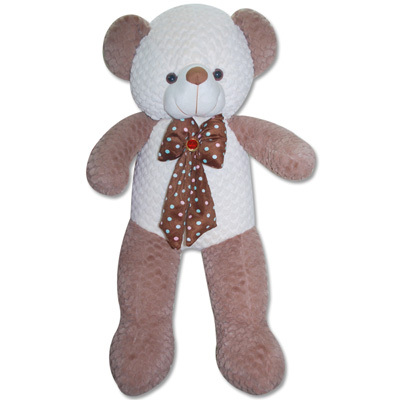 White and Light Brown Soft Teddy BST 3619-001 Height: 90 Cm NOTE: Same day Delivery for Hyderabad and Secunderabad. For other places requires minimum 2 to 3 WORKING DAYS. Height:70 cm. 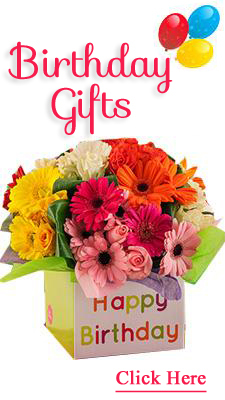 NOTE: Same day Delivery for Hyderabad and Secunderabad. For other places requires minimum 2 to 3 WORKING DAYS. Height:60 cm. 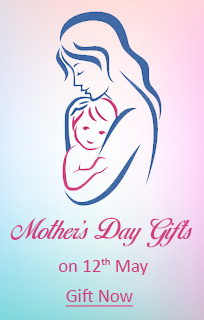 NOTE: Same day Delivery for Hyderabad and Secunderabad. For other places requires minimum 2 to 3 WORKING DAYS. Height: 85 cm. 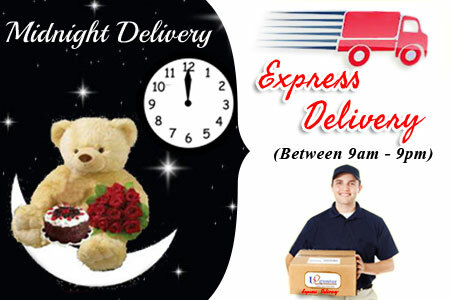 NOTE: Same day Delivery for Hyderabad and Secunderabad. For other places requires minimum 2 to 3 WORKING DAYS. Height: 70 cm. 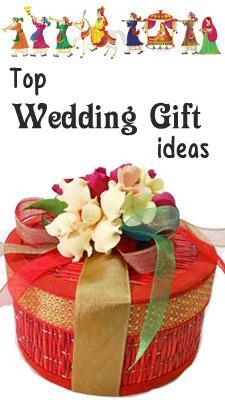 NOTE: Same day Delivery for Hyderabad and Secunderabad. For other places requires minimum 2 to 3 WORKING DAYS. 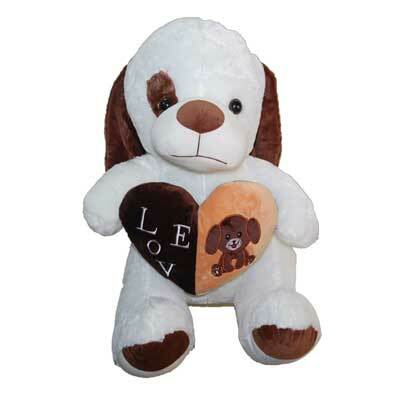 Teddy Bear - BST -3767-002 (Brown) Height: 90 cm NOTE: Same day Delivery for Hyderabad and Secunderabad. 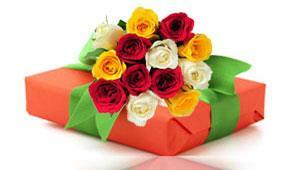 For other places requires minimum 2 to 3 WORKING DAYS. 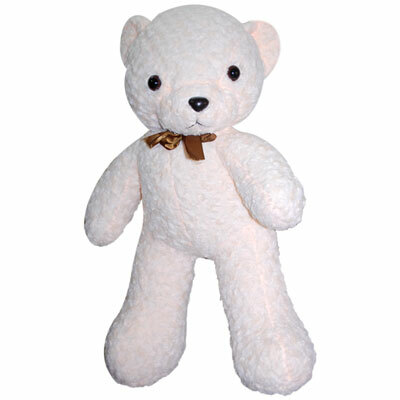 Cream Teddy -BST 4104-Code001 Height: 65cm NOTE: Same day Delivery for Hyderabad and Secunderabad. For other places requires minimum 2 to 3 WORKING DAYS. 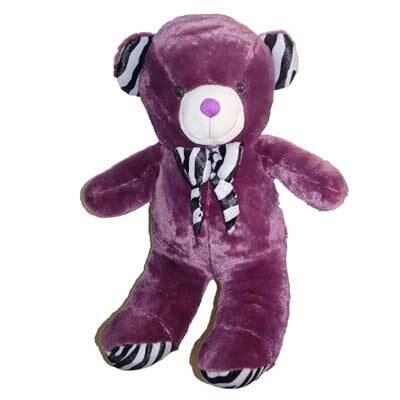 Violet Teddy -BST 4108-Code001 Height: 60cm NOTE: Same day Delivery for Hyderabad and Secunderabad. For other places requires minimum 2 to 3 WORKING DAYS. 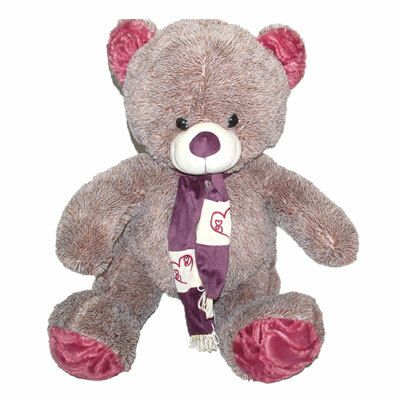 Grey Teddy -BST 4109-Code001 Height: 60cm NOTE: Same day Delivery for Hyderabad and Secunderabad. For other places requires minimum 2 to 3 WORKING DAYS. Grey Teddy -BST 4115-Code001 Height: 90 cm NOTE: Same day Delivery for Hyderabad and Secunderabad. For other places requires minimum 2 to 3 WORKING DAYS. 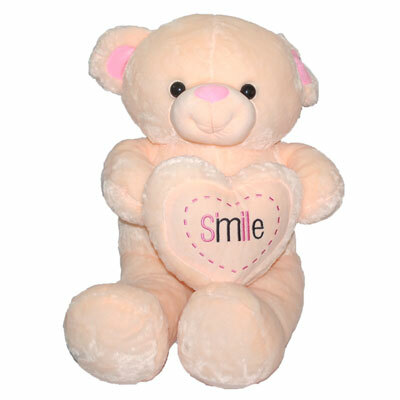 Pink Teddy -BST 4116-Code001 Height: 80 cm NOTE: Same day Delivery for Hyderabad and Secunderabad. For other places requires minimum 2 to 3 WORKING DAYS. 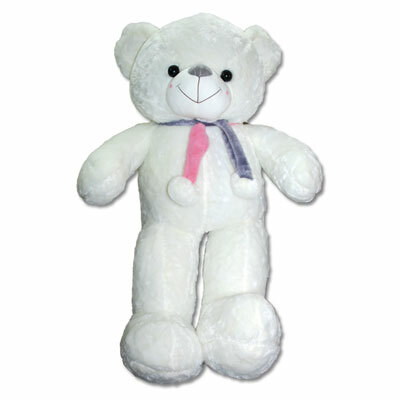 White Teddy -BST 4117-Code001 Height: 80 cm NOTE: Same day Delivery for Hyderabad and Secunderabad. For other places requires minimum 2 to 3 WORKING DAYS. 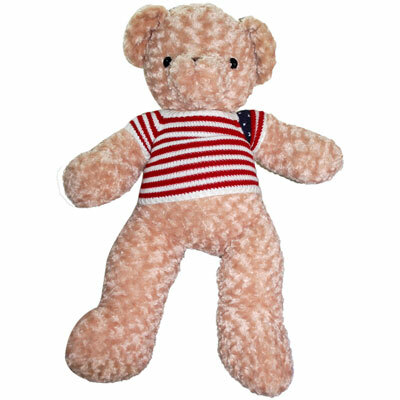 Pink Teddy -BST 4120-Code001 Height: 65 cm NOTE: Same day Delivery for Hyderabad and Secunderabad. For other places requires minimum 2 to 3 WORKING DAYS. 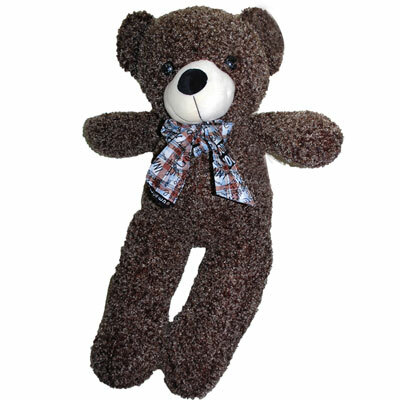 Brown Teddy -BST 4121-Code001 Height: 65 cm NOTE: Same day Delivery for Hyderabad and Secunderabad. For other places requires minimum 2 to 3 WORKING DAYS. 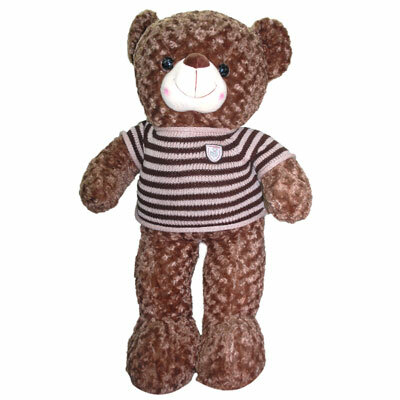 Brown Teddy -BST 4122-Code001 Height: 90 cm NOTE: Same day Delivery for Hyderabad and Secunderabad. For other places requires minimum 2 to 3 WORKING DAYS. 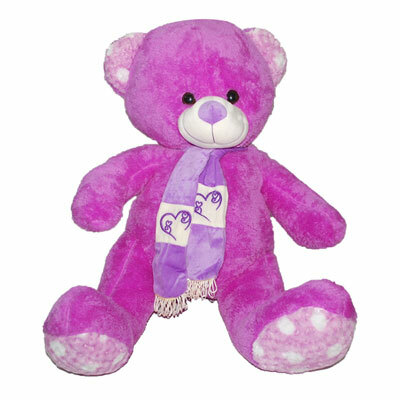 Pink Teddy -BST 4123-Code001 Height: 80 cm NOTE: Same day Delivery for Hyderabad and Secunderabad. For other places requires minimum 2 to 3 WORKING DAYS. 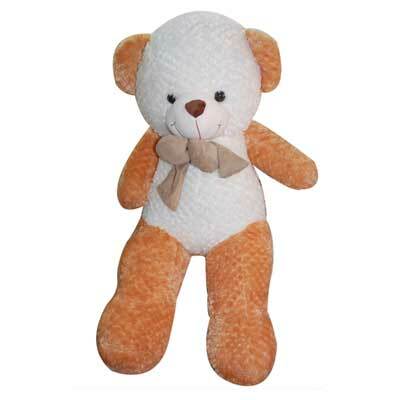 Cream Teddy -BST 4124-Code001 Height: 65 cm NOTE: Same day Delivery for Hyderabad and Secunderabad. For other places requires minimum 2 to 3 WORKING DAYS. 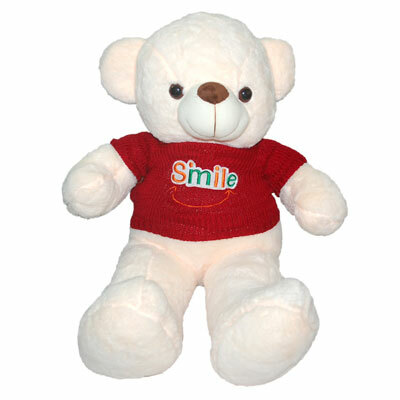 Cream Teddy -BST 4126-Code001 Height: 70 cm NOTE: Same day Delivery for Hyderabad and Secunderabad. For other places requires minimum 2 to 3 WORKING DAYS. 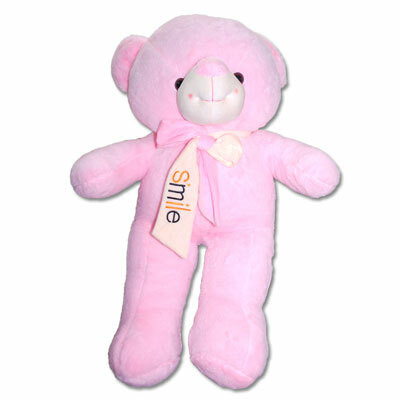 Pink Teddy -BST 4129-Code001 Height: 100 cm NOTE: Same day Delivery for Hyderabad and Secunderabad. For other places requires minimum 2 to 3 WORKING DAYS. 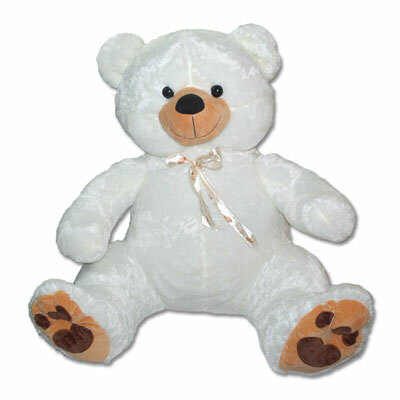 White Teddy -BST 4130-Code001 Height: 70 cm NOTE: Same day Delivery for Hyderabad and Secunderabad. For other places requires minimum 2 to 3 WORKING DAYS. 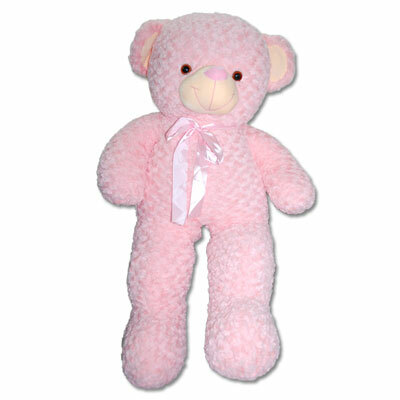 Pink Teddy -BST 4131-Code001 Height: 80 cm NOTE: Same day Delivery for Hyderabad and Secunderabad. For other places requires minimum 2 to 3 WORKING DAYS.